The AIP will hold the 16th Right to Know Day Awards Ceremony in Bulgariato present the “Golden Key” awards to citizens, journalists, and NGOs, who have actively exercised their right of access to information and public authorities with good transparency practices. 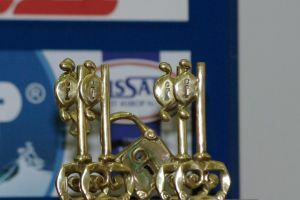 Institutions with bad transparency practices receive the “Padlock” anti-award, while absurd practices are recognized with the “Tied Key” anti-award. 35 nominees are competing in the six categories. The media outreach has been escalating. In 2018, the RKD Awards Ceremony is possible thanks to the funds raised by the AIP via the platform Indiegogo: https://igg.me/at/FOI-Champions-Day-Bulgaria/x﻿ and by individual and corporate donations to our bank account.